Natural feathers in non-toxic multi-colors. 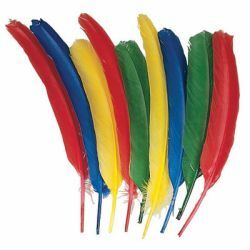 6 each: blue, red, green and yellow. Bag of 24.